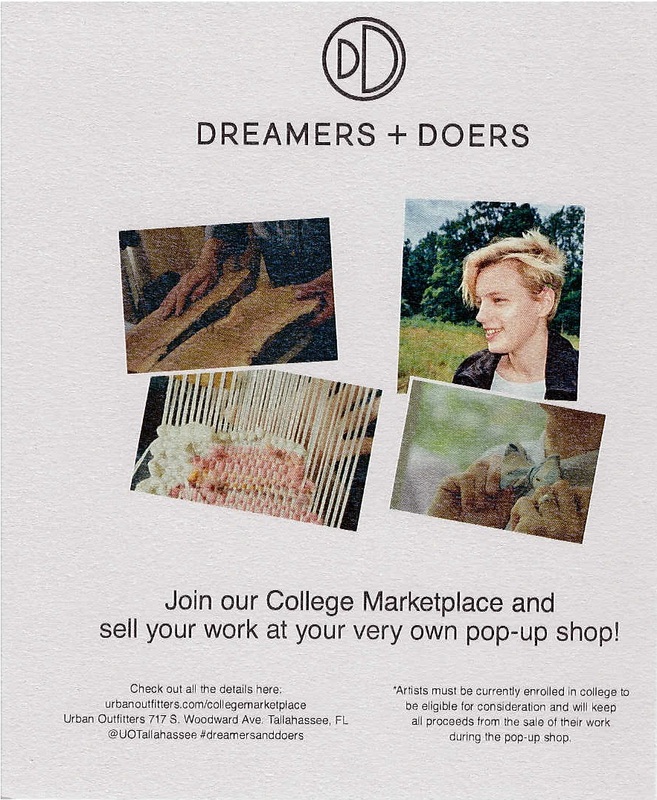 There is an opportunity to be a vendor at the Urban Outfitters in Tallahassee during our October College Marketplace. We are looking for five students to be vendors and sell their merchandise at our store location during our event. The application will be reviewed by our home office and all vendors will be chosen as such. Please visit the website below for further details. Photos of work and brief profile due by August 29th. Winners will be notified by September 19th. Must be current and enrolled student to qualify.